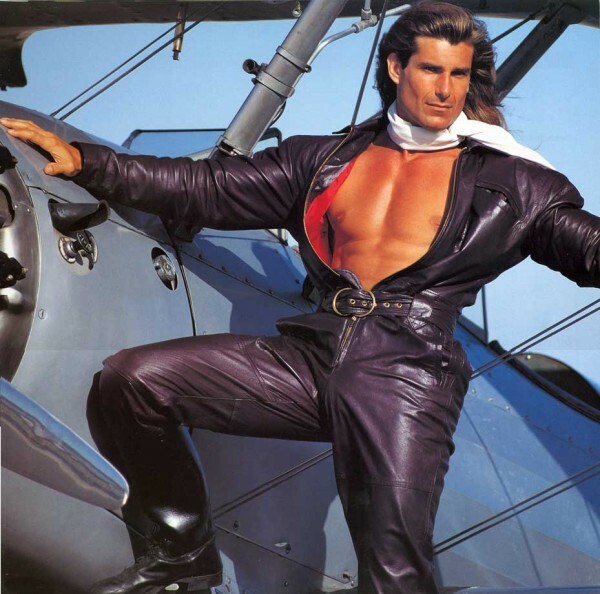 Leave a Comment on THE MAN BEHIND THE LOIN CLOTH: You Can’t Believe It’s Not Fabio! Fabio. Fabio. 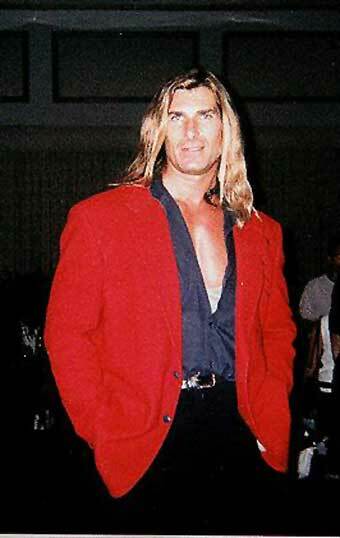 Fabio. I could say it forever on end, morning, noon and night! Every second in between too! If only I could have him, I would be happy all day every day! I could take or leave the muscles, but that hair! Those teeth! Those eyes! Last time I saw a man with eyes that blue, I paid two grand for him and taught him to play fetch! No tattoos either, what a man! It’s his aura, his energy field, everything! What wouldn’t I give for a lifetime with Fabio? This is about Fabio. It’s always about Fabio. But wait! Could it be? Am *I* the girl for Fabio? Yes, it could happen, he is single. He is also looking for a special lady! Turns out, there’s actually a MAN behind all those corny romantic whims and weepy inner feelings. That man is FABIO! Yes. He is a joke. Yes. He is made of a rare combination of Velveeta Cheese and I Can’t Believe It’s Not Butter. Yes. He is pushing sixty and getting older every day. Yes. He’s been saving women in peril longer than I’ve even been alive . . .
He’s still FABIO! The one and only FABIO! To the untrained eye, he may not seem a man of much substance. The King of Romance talks about how , “deep” he is, but he is a tease! He dangles this side of himself and makes us burn for answers, yet he never shows us the truth! It’s such delicious torture too, how I yearn to know his secrets! In reality he *seems* to have a lot of homes and cars and sits at K-Marts all day, posing for pictures and signing containers of I Can’t Believe It’s Not Butter. He rides roller coasters and goes to emergency and such, but there has to be MORE! He doesn’t do anything but stand there and smile . . . while people wait for hours in the rain to see him for five minutes? To be hugged and lifted and smooched! He’s driven women to dramatic weight losses, his rippling muscles charging them forward on the elliptical! They see his chiseled face and turn down cheeseburgers, picture that massive chest with every french fry they deny! Grandmothers swoon, young girls blush! Trannies even go into convulsions at the mere sight of those deep dimples! That glorious tan! But wait. Why? He doesn’t even wear a loin cloth anymore. As you can see, Fabio is a garden of secrets. And the walls are very high. That was more than twenty years ago, yet he still hasn’t broken character! Not one time! He may go home and fart and drink beer while he watches Sports Center like every other stupid guy, but the world will never know! Or maybe he goes home and drinks champagne and smokes rose petals while the butler serves him imitation butter, we can only wonder! He even looks like a lust crazed cardboard cutout in all his fan photos! What an enigma! A magical man! I have clawed and scratched to pry open this closed book, but all in vain! Now that I’ve said all this, the question remains: Can I have Fabio? Sadly the answer is no. 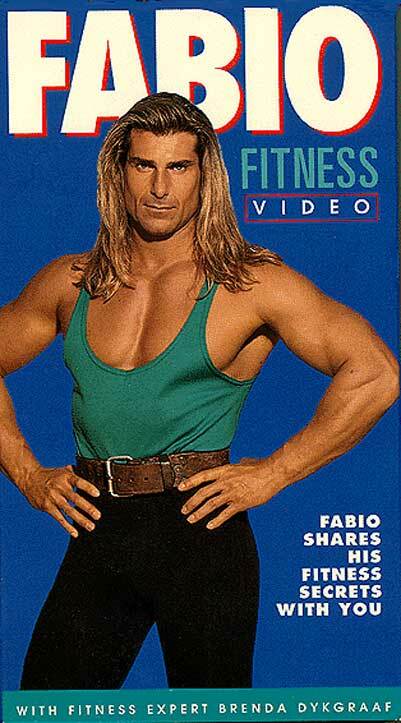 It shall pain me eternally, but I could never have Fabio. I could beg for a lock of his hair til I was blue in the face (just my luck, he probably keeps a stash in his back pocket) but I could never have the whole man! No one could! He has places to go and mammaries to sign! I could never rob the world of his massive chest and lusty biceps, that lovely mountain of muscular wonder! Middle aged mothers everywhere would weep if he were taken away from them! Who would they turn to??? We are talking chaos and calamity throughout the suburbs, who would ravage lonely housewives during their daydreams? No. This certainly is not a job for Michael Bolton. Fabio was meant to be shared. He’s not my Fabio, he is not your Fabio. That’s a “Facebook Marriage”, I only did that so losers would stop hitting on me over the internet. Of course anyone who looks at my profile knows I’m not *actually* married to Fabio, but I don’t show up in singles searches anymore, now do I? What gave me the idea was that birds fly into my head a lot and to make it doubly hard to find me, I moved to Vienna . . . but that’s a different story! Previous post: Fifty Shades of WHATEVER! Next post: WHAT About The Little Red Haired Girl?